– The Hague, Conservatoire: Many improvisers came together again during the Erasmus+ Strategic Partnership Project “Modernizing European Higher Music Education through Improvisation (METRIC)”, led by the Estonian Academy of Music and Theatre, Tallinn. Great to work with all these talented young music students. – Lisbon, Nova University: During my sabbatical research into the improvisation scene in Lisbon, I also had the pleasure in running workshops with students at the University’s CESEM Research Group. – Estonia, Tallinn: Several workshops during the Erasmus+ Strategic Partnership Project “Modernizing European Higher Music Education through Improvisation (METRIC)”, led by the Estonian Academy of Music and Theatre, Tallinn. See Youtube channel for archived concerts. – Berlin: Lecture and concerts at Berlin’s Exploratorium and the very cool Kühlspot Social Club, organised through Tom Arthurs / BIRG (Berlin Improvisers Research group). – London: A workshop for the “Young Guildhall’ at the Reflective Conservatoire Conference, at London’s Guildhall. – Edinburgh: Concurrent network workshop with dance and music therapists. Concurrent is a network that develops research on interdisciplinary improvising from both practice-led and psychological perspectives. – Nottingham: Workshop given for Xenia Pestova’s Undergraduate Music performance programme. – Brazil: Throughout 2014 I lived in Rio de Janeiro, with the generous support of a Higher Education Academy (HEA) International Fellowship. I traveled extensively and carried out an ethnography of the free improvisation scene in Brazil. I ran workshops on improvisation at the Federal University of Rio de Janeiro (UFRJ), the Universidade Federal do Estado do Rio de Janeiro (UNIRIO), the University of São Paulo (USP), The Federal University in Bahia (UFBA), the Federal University in Minas Gerais, Belo Horizonte (UFMG) as well as at The Federal University of Rio Grande do Norte in Natal (UFRN) and at Unicamp where I visited the ELM, the Escola Livre de Música. You can find out more on my improvisation in Brazil blog where I archived all the work. Bailey, Derek. (1993). 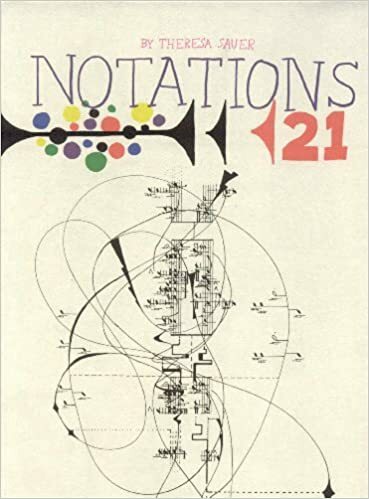 Improvisation: Its Nature and Practice in Music. Perseus Books Group. Canonne, Clément. (2008). Free Improvisation and Game Theory: an introduction and a few experiments. Cardew, Cornelius (1972). Scratch Music. Latimer New Dimensions. Harnum, Jonathan (2014). The Practice of Practice: How to Boost Your Music Skills. CreateSpace Independent Publishing Platform . Johnston, Chris (2006). 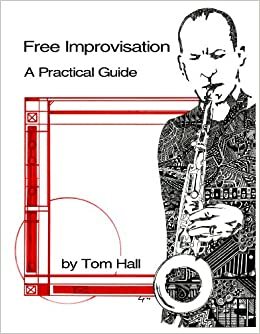 The Improvisation Game: Discovering the Secrets of Spontaneous Performance. Nick Hern Books. Nachmanovitch, Stephen (1990). Free Play: Power of Improvisation in Life and the Arts. Tarcher/Putnam. Oliveros, Pauline (2013). Anthology of text scores. Deep Listening Institute, Ltd. NY. Prévost, Eddie. (1995). No Sound is Innocent: AMM and the Practice of Self-invention, Meta-musical Narratives. COPULA. ISBN 0-9525492-0-4.